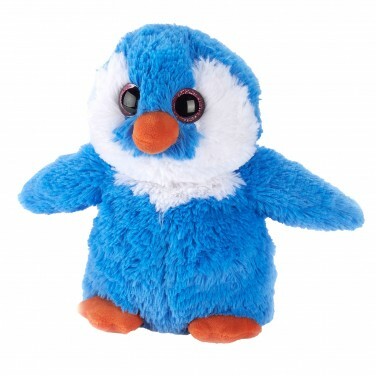 Soft, snuggly and full of character, this adorable baby penguin can be popped in the microwave to give warm and cosy hugs! Filled with treated organic material and French lavender, this playful penguin can be warmed in the microwave for up to 90 seconds, emerging warm and cuddly smelling of soothing lavender. A sweet alternative to a hot water bottle, this cuddly cutey is perfect for snuggling with on cold winter nights, warming cold beds and even for soothing aches and pans!